Located within the picturesque countryside of Faliraki, the Tivoli Hotel & Apartments offers spacious accommodation and a wide range of facilities, such as free parking, a poolside snack bar and an outdoor pool. Facilities at the Tivoli include a photocopier, a safe and family rooms. Wi-Fi is accessible at the hotel, making sure you'll have no issues remaining connected while on the road. The garden is a peaceful spot to sit and relax. All the spacious rooms at the Tivoli Hotel & Apartments include a refrigerator. The Tivoli's bar provides a relaxing setting for an evening drink. Diagoras International Airport is less than a 30-minute drive from the Tivoli Hotel & Apartments. 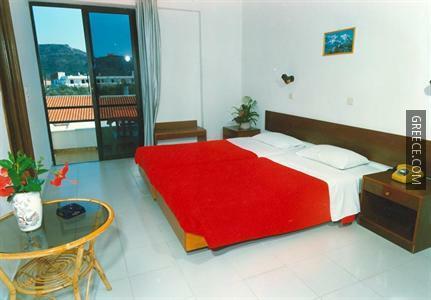 Guests can visit Rhodes City, located within an easy drive of the hotel.